A personal challenge or craftidextrous heaven? Perhaps I shouldn’t post this. The subject is something that is (or maybe now, was) destined as a Christmas present. A beaded crochet pouch that I designed, lined with felt and is now perfect for keeping jewellery safe, clean and comforted. It was fun to make. And then someone suggested maybe we should have a beaded knitting workshop at the knitaway we are planning in Buxton. So I thought, how about doing knitting and crochet? 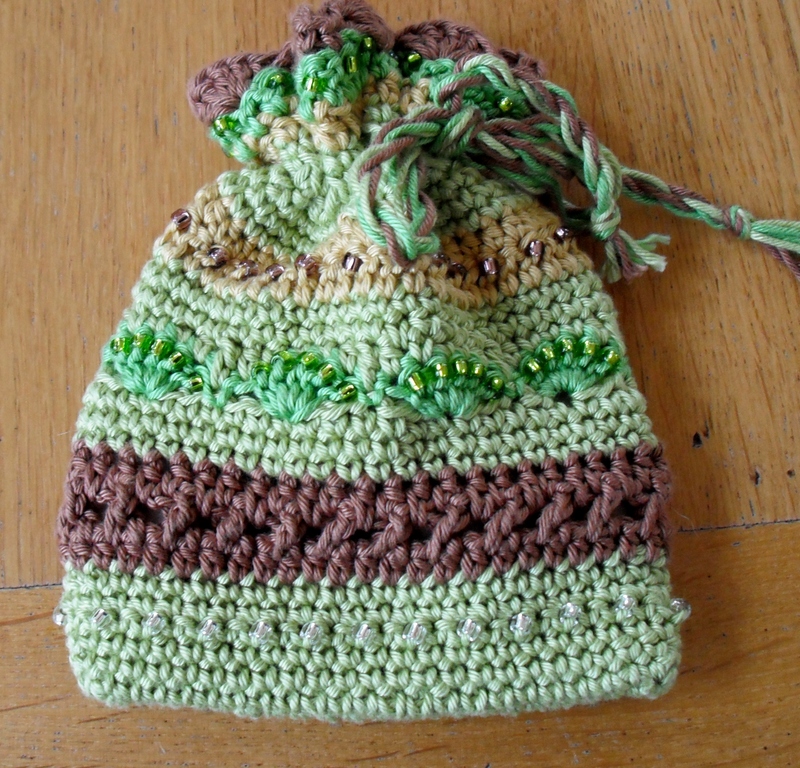 What if I designed a beaded knit pouch that would be similar to the crochet one and then I could host a dual workshop – beaded pouch for knitters and crocheters? 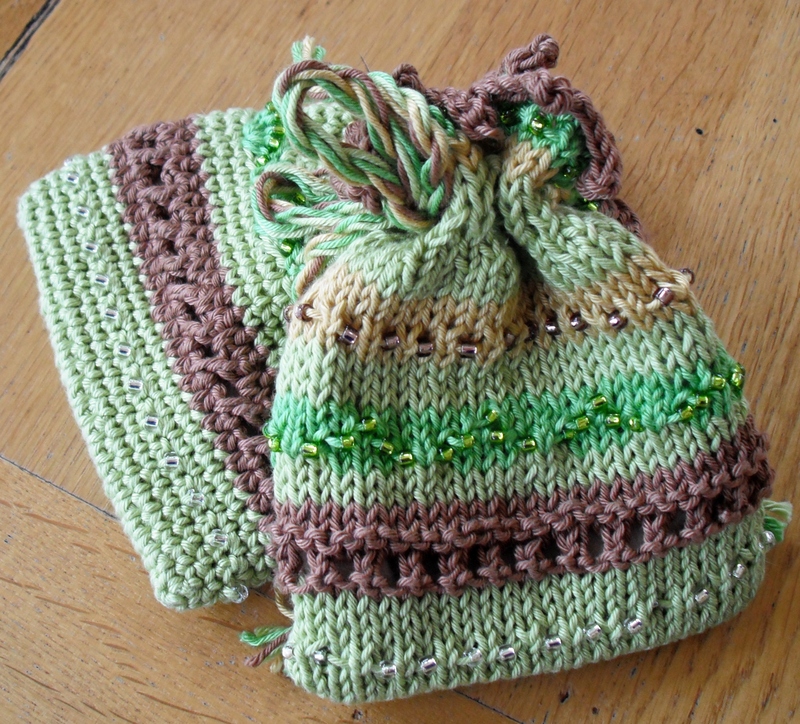 I am craftidextrous – I love doing both crochet and knitting, although I confess crochet is my favourite (slightly). Are they similar? Would you like to make them? Or one of them? To me this was a personal challenge, and it feels fantabulous to have completed it! I think, at least on my own personal level, that I have proved crochet and knitting are both brilliant and can produce similar beautiful results. What do you think? This is one topic where I am aching to hear your views. Like Julie above I lean towards knitting, but I like the crocheted one better – maybe I’ll have another try. Have done some Kumihimo and have a cardboard stand – Bernadette has a wooden marudai ! Just a thought !! 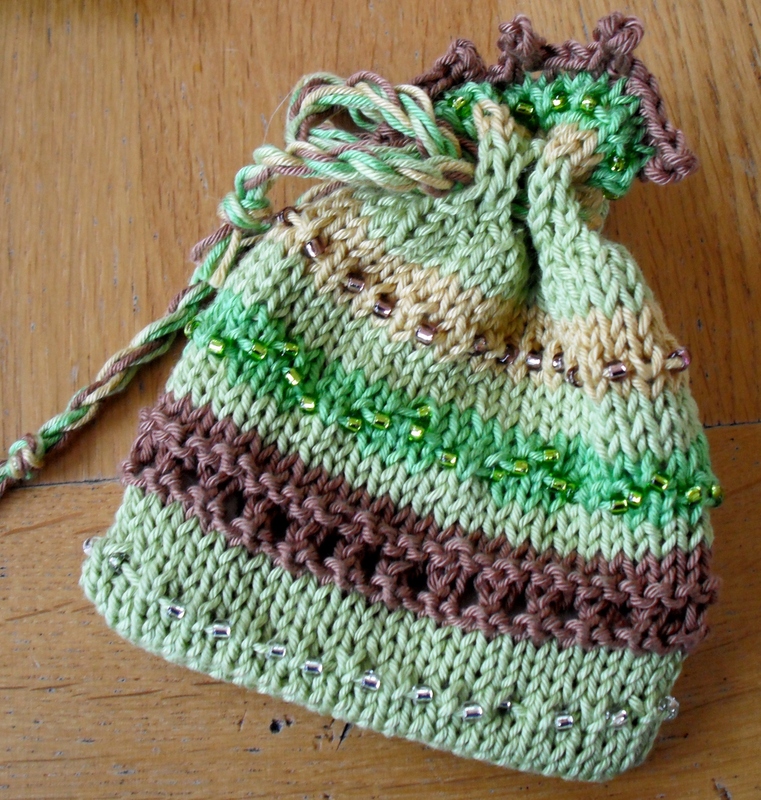 That’s a nice idea – knitting, crochet and kumihimo cords all in one workshop!